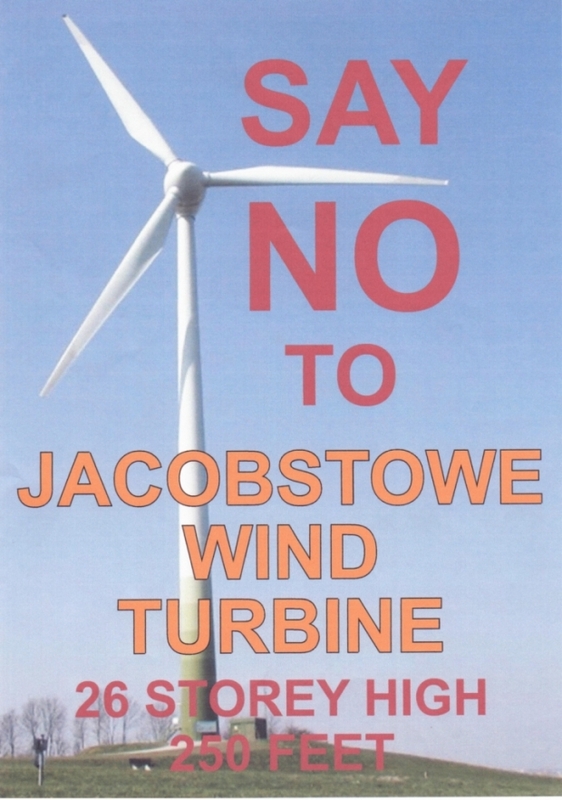 A 77m high (252ft) wind turbine is proposed for Jacobstowe. It would be equivalent in height to a 26 storey building and 5 x the height of Hatherleigh's Church spire. This commercial scale turbine will become the dominant feature on our rural landscape instead of Jacobstowe's historic Church. SHOULD YOU HAVE TO LIVE WITH THIS? Please join us in objecting against this proposal and preserving our ancient and valuable landscape. What one neighbour will do to others for money!